Mobile economy is booming. The number of smartphone users worldwide is projected to amount to nearly 2.7 billion by 2019. There are already 7.7 million apps in the App Store& Google Play. The global mobile game market is expected to top $57 billion in 2018. There are approximately 0.6 million mobile gaming on Google Play Store. However, only 10% of all gaming apps enjoy relative commercial success. IAPs give developers a unique opportunity to control what happens at the point of sale (which is placed somewhere inside a mobile game). Apple’s app store saw consumer spending of approx. $38.5 billion in 2016, nearly double the estimated $20.1 billion spent on Goole Play. In terms of growth, this translated to a year-over-year increase of about 34.7% for App Store, edging out Google Play at approx. 34.2%. It’s no wonder free-to-play/pay-to-win will continue to dominate the market through 2018 and beyond! 74% of the spends on Play Store were In- App purchases. Freemium models where the game developer does not charge the user for the default or vanilla game but strategically change behaviour of a player within the game in which the player can buy new levels or features, characters or in-app currency depending upon the game. It is the most common way for gaining revenues through an app. In-app advertising refers to promoting particular content/ads within a game. It allows marketers to have their brand name or product featured within a game or an app. Rewarded Video — A popular ad format where users are incentivized for watching a video ad. Rewards can be in the form of prizes, virtual currency, or anything else the developer can provide in the context of their app that users would like to receive. Non-rewarded video — Interstitials engage users with rich, customizable, and appealing ads at natural pauses in your app’s flow, ensuring minimum disruption to user experience while still maximizing app revenue. They are full screen ads which offers users the option to exit and skip. Standard Banner — Marketing classic that demonstrates a piece of the ad at the bottom, middle or top of the page which features relevant text and graphics. It’s a simple way for a brand to get their name and product viewed by as many people as possible. Interstitials — Interstitial ads are full-screen ad formats covering the interface of an app that and appearing at natural app transition points like when starting a game or while resuming a paused game. This is a form of advertising wherein the advertised content is taken form the platform and is put across to the user in a way which is completely non-intrusive and seamlessly blends with the textures and aesthetics of the game where the ad is to be displayed. 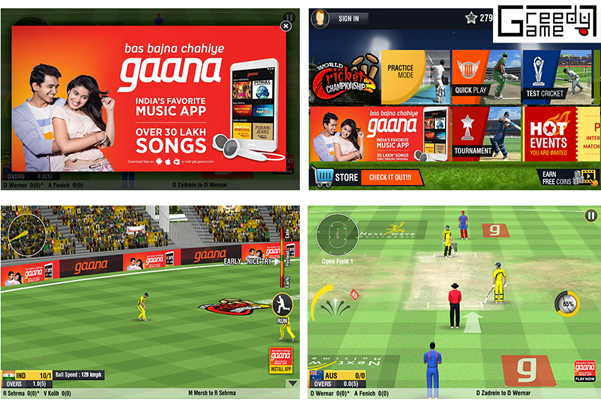 The ad format mimics that of the original game format for optimal user experience. To monetize app by Paymium model an app must deliver useful functionality, quality user experience. It is a simple app with Paid Download, Paymium model may alienate users who are used to first see and then buy. However, using this model, you can win if you make sure you have a strong value proposition and there are no competitors who provide the same features as your app does. The financial success of any free to play game is intrinsically linked with how engaged it keeps its players. Many apps use creative and innovative methods to mix different monetization strategies to create one that’s suits them the best while complementing their product offering (providing user a possibility to get game currency or extra money). The best way to do this is by measuring actions, which allows you to give context to player behaviour. If you know what motivates your players, they’ll keep returning. If you provide contextual, relevant and timely messages alongside this, they’ll keep engaged. While pursuing the goal to maximise the revenue, pushing too many interruptive ads and incorrectly leveraging in-app purchases would have an inverse effect on the product value. Usage of new and non-intrusive (native) means of monetisation might bring about a balance to user retention and revenue generation for a game. Remember to balance it out and keep user retention at the top of your mind. So make sure the value proposition is clear and the promises are delivered to the user. These are essential to drive growth and ensure high engagement, which in turn are key conditions for successful monetisation. A curious enthusiast of the ad tech and digital marketing space, self employed professional working extensively in the textile and investments space.